Winter is right around the corner, and there’s no better way to celebrate it than with Yeti Battle of Greenhat Peak, a cheerful, cartoonish video slot. Take a trip to Greenhat peak and side with either the green-hatted man or the Yeti in the pursuit of the ultimate treasure – a golden carrot. Why Yeti Battle of Greenhat Peak? Yeti Battle of Greenhat Peak is an incredibly charming video slot that will undoubtedly remind you of the cartoons of your childhood. Where to play Yeti Battle of Greenhat Peak? 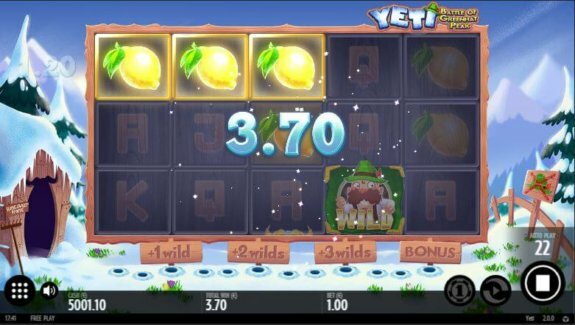 The legend of the Yeti has been adapted many times by video slot developers. 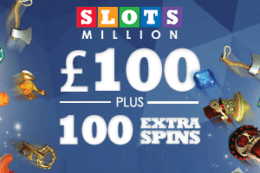 Those slots often depict the Yeti as a formidable beast hiding in the woods from prying eyes. Yeti Battle of Greenhat Peak takes a more lighthearted approach and pits the Yeti against a small Bavarian man in a green hat as they pursue the golden carrot – a setting that’s reminiscent of children’s Sunday morning cartoons with visuals to match. Yeti Battle of Greenhat Peak consists of a 5×3 reel layout, an RTP of 96.1%, and two exciting bonus features that will keep you coming back for more. If you’re looking for an interesting take on a stale slot theme with great prizes, you’ve come to the right place. Thunderkick is relatively new to the iGaming industry, which means that, while major casinos more often than not have their games on offer, smaller casinos seldom have them in their repertoires. However, they’re making quite a name for themselves, so make sure to keep an eye out for their games when you’re searching for the perfect one for you. If what you’ve read so far has piqued your interest, make sure to read below what our team of slot experts has to say about it. The land of Greenhat Peak is one of the most cartoonish and charming we’ve ever come across. The reels are set atop a snowy hill with the Yeti’s house to the left and a peculiar sign forbidding green hats to the right. The colours are vivid, the animations are as smooth as video slot animations can get, and the sound design is miles ahead of the pack, making this slot a true pleasure. Who knew that hunting down a golden carrot could be so simple? The Spin button is located in the bottom right corner of the screen, and the Autoplay button and the button for changing the coin value can be found next to it. 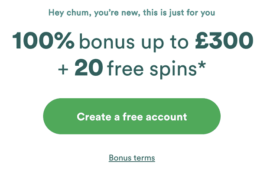 The Autoplay feature will automatically spin up to 5000 spins and can stop whenever some other feature is triggered, but it lacks customisable options, such as a loss limit. Finally, the game’s rules and Paytable can be found in the bottom left corner. Play Yeti Battle of Greenhat Peak for free! Hidden among the game’s plethora of symbols is the golden carrot, bringing great fortune to those who manage to find it. High paying symbols – the Yeti and the green-hatted man, who also functions as the Wild symbol, replacing everything except the Scatter. 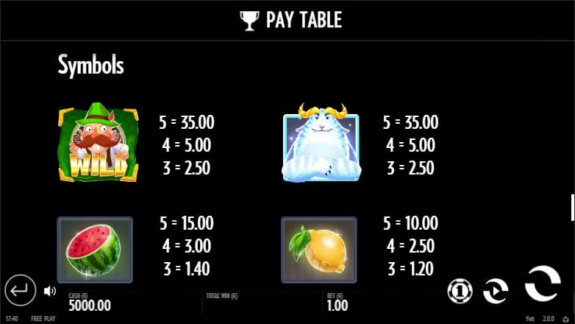 The golden carrot, your ultimate prize, is the Scatter symbol and is the key to triggering the two bonus features of the game. 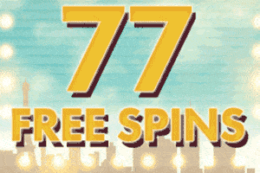 Depending on the number of Scatters, you’ll get either the Wild Attack feature or Free Spins. The Wild Attack activates when you match 2 Scatters. This is a simple respin with 1-3 Sticky Wilds. Additionally, every Wild that didn’t land on a winning payline during the spin that triggered Wild Attack also becomes Sticky. 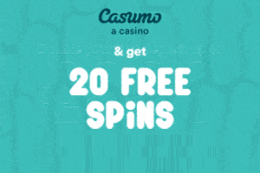 Matching 3, 4, or 5 Scatters awards players with 10, 15, or 20 Free Spins respectively. During this feature, Scatters that land on the reels fill up the meter below the reels. 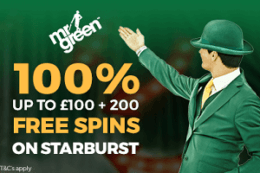 You get a Sticky Wild and two additional Free Spins for every three Scatters. 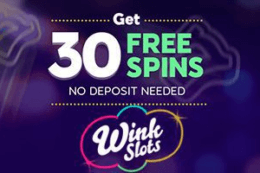 Once the meter is full, you get five more spins, bringing the maximum number of Free Spins to 31. 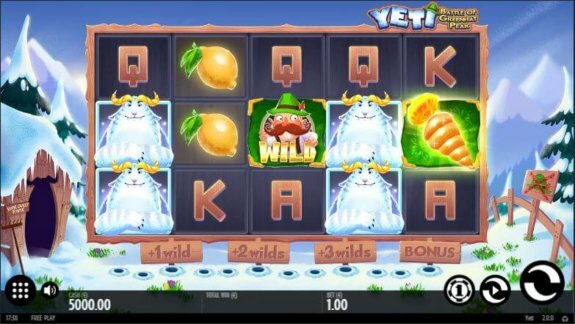 If you’re not sure whether Yeti Battle of Greenhat Peak is a great slot for you, you can try it out for free right here on this page. Once you’ve become comfortable with the game, we highly recommend playing it for real money. Yeti Battle of Greenhat Peak is a wonderful video slot that oozes charm and originality. The payouts are a bit smaller than we’d like, but the frequency of the bonus features ensures that you won’t walk away empty-handed. 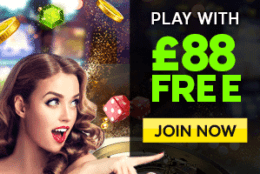 You can find this slot in some of the most popular casinos around, such as 888Casino, SlotsMillion, and Rizk Casino.